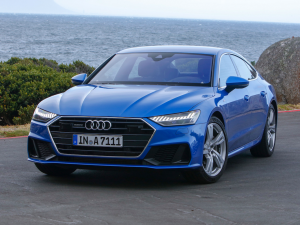 The Audi A7 is a premium cruiser aimed at captains of industry with a pulse who aren’t quite ready for an A8. 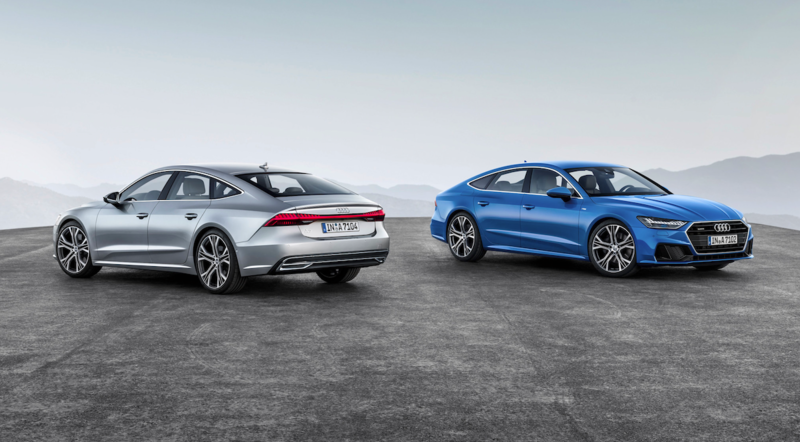 The exterior of the second generation four door coupe has always been a little divisive. 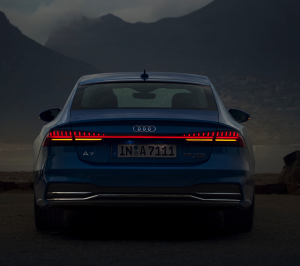 When viewed head on the front of the new appears lower set and is dominated by the single frame Audi grille. The front’s styling exaggerates the A7’s already elongated bonnet and cabin reward look. The A7 has a handsome and undoubtedly muscular stance. Side on the overhangs are nicely short and the car’s shape gently slopes away to the rear. At the back of the big cruiser is its slanting tail that remains a love it or hate it styling element. At speed an electronic spoiler raises up and improves down-force and to my eyes the car’s lines too. Remember this is a pricey end of the car market that features three key offerings; the A7, BMW 6 Series Gran Coupe and Mercedes-Benz CLS. Inside the big A7 is a premium equipped lounge cabin that features the latest in Audi’s impressive MMI multi media interface touch display. Like the A8 saloon, both were designed at roughly the same time, the flush ‘out of the darkness’ electronic touch screens and displays are truly impressive. The dash surfacing is beautifully flush and cohesive in design terms. Lately Audi has gone down the integrated route whereas Mercedes-Benz for example with its latest MBUX interface prefers to let its displays and screens sit more proud from the dash. Both Audi and Mercedes-Benz have taken a clear lead over BMW in this department. Under the bonnet of my Audi A7 ‘50’ Quattro test car sits a 3 litre TDI diesel – if I only had a euro for every time I had to explain “No its not a 5 litre!” to curious onlookers I’d be rich. It is a powerful beast with a 0-100km/h time of 5.7 seconds delivered by its 286hp and 620nm power output. A new MHEV mild hybrid systems is standard with the diesel and its 48-volt system that features an electric motor and small rechargeable battery pack helps reduce emissions also boosts performance of the Sportback. A belt alternator starter is used and it can recover up to to 12 kilowatts of power. 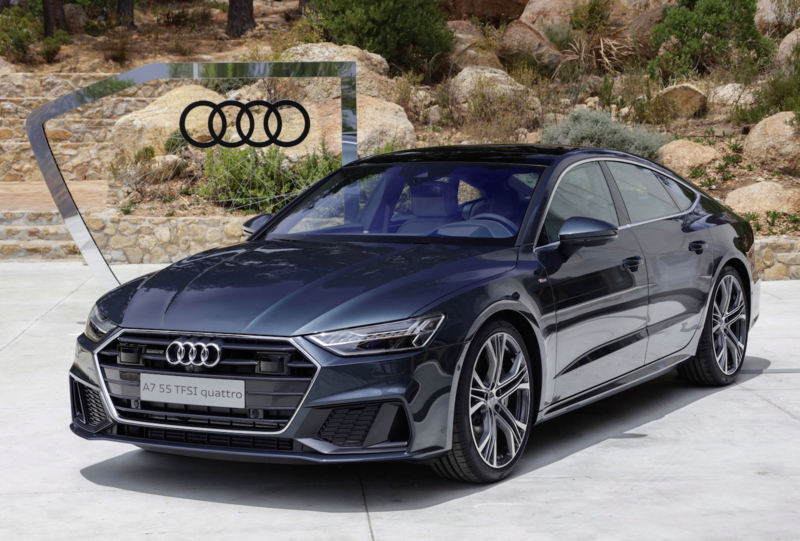 The A7s stop/start system works at higher speeds up to 22km/h with the 8-speed auto gearbox (Tiptronic) coasting as in ‘not in gear’ to save fuel. Petrol power is available in the range. 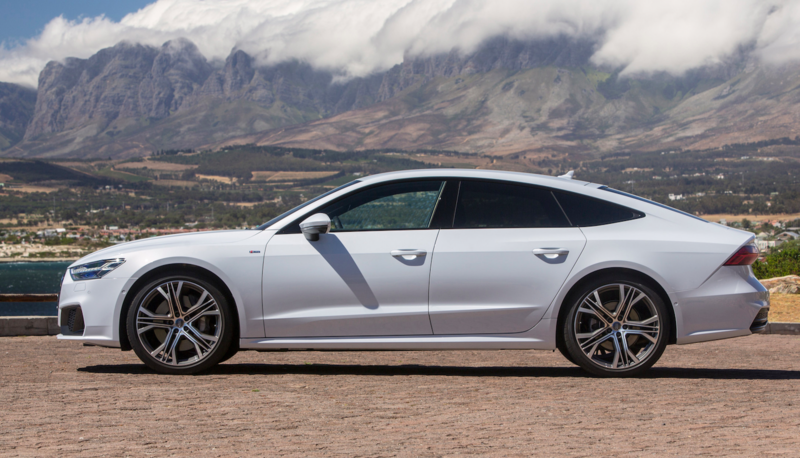 On the road the A7 is a consummate cruiser with impressive and effortless pulling power. On Irish back roads the A7 was a bit too bulky to be entertaining and the low set driving position isn’t the best when you need to see over hedgerows. Perhaps the slightly narrower A5 would work better for rural buyers – but on the open road the A7 is in its element and sings. Audi continues to offer some great lighting options that can really make driving in dark and dank conditions quite relaxing. There is a choice of illumination dependent on model and specification from standard LED headlights to HD Matrix LEDs. Topping the illumination stakes is the HD Matrix LED with Audi laser light… any option with the word laser in it is fine by me. Seriously, great lights are essential and the A7’s are literally brilliant. 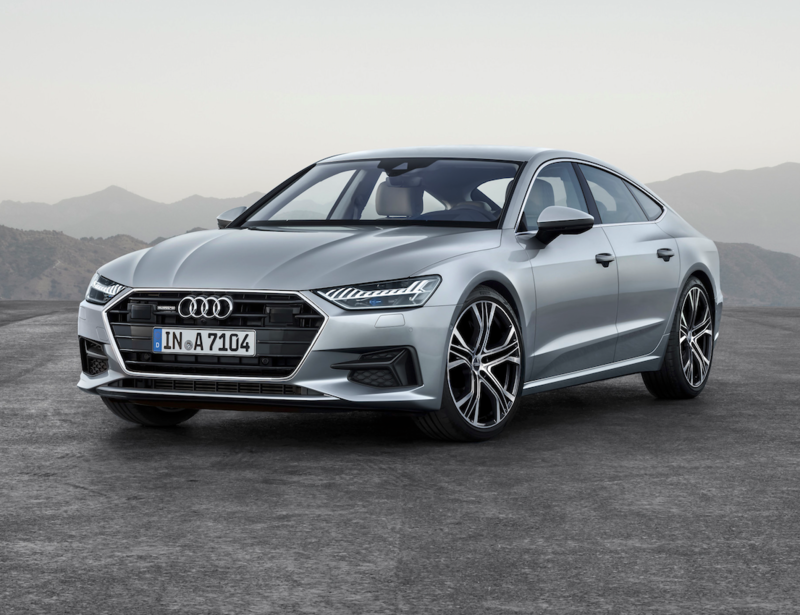 Audi says the new A7 will continue to be the segment leader, with the 3 litre TDI in S Line trim the expected big seller. Prices start from €78,150 on the road in Ireland, needless to say my press test car cost a fair bit more.